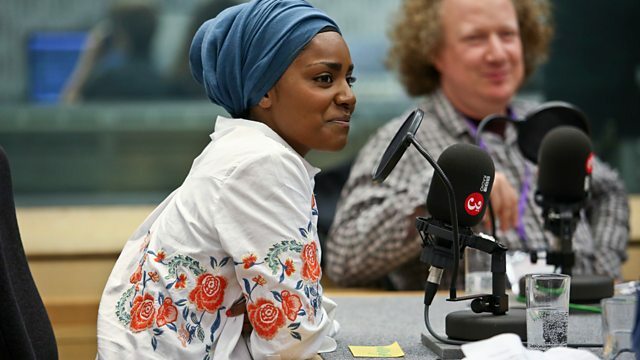 Clive Anderson and Arthur Smith are joined by Brian Blessed, Nadiya Hussein, Sara Pascoe and Andy Zaltzman for an eclectic mix of conversation, music and comedy. With music from Mercury Rev and Sweet Baboo. Agatha Christie's 'Spider's Web' is at The Mill at Sonning until Saturday 9th September. 'SARA PASCOE: LadsLadsLads' is at Forth, Pleasance Courtyard, Edinburgh from Wednesday 2nd to Sunday 27th August. ‘Andy Zaltman: Satirist for Hire (World of 2017 Special Edition)’ is part of the Edinburgh Fringe Festival at The Stand Comedy Club 3 & 4 from 15th to 27th August at 15.00 and ‘The Bugle Live Podcast’ is at the Newton Theatre, Edinburgh on 16th and 27th August. 'Nadiya's British Food Adventure' starts on Monday 17th July at 20.30 on BBC Two. ‘Deserter's Songs' is available now. An additional date has been added to Bella Union’s 20th anniversary celebrations. Lanterns On The Lake and Holly Macve play St George's, Bristol on Saturday 14th October. ‘Wild Imagination’ is available now on Moshi Moshi Records.